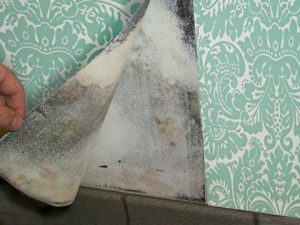 Home » Mold Guide » How do you test for mold in your house? If you see mold in your home, testing is not required, but may be necessary in certain situations. For example, you see mold in your basement, but is it affecting your child’s bedroom on the second floor? Is it in my HVAC system moving throughout my house? Is it under my wood floors, carpets, or behind my walls? These are all pertinent questions and should be addressed and the only way to find out is by conducting a mold test. The question is which mold test should be used? Home Testing/DIY home mold testing kits are readily available at the local hardware store. Homeowners collect samples of mold according to the kit’s directions, and then send the samples to a laboratory for testing. The problem with home mold testing kits are that they are extremely unreliable. It’s hit or miss that some mold might land on your test kit and as a result, may indicate that you have a problem which you really don’t, or worse that you don’t have a problem and you do! Very unreliable. Surface tests use samples collected from swabs, tape, and other methods from household surfaces. The samples are tested to determine the amount and type of mold growth in the area. The results can vary because the spores aren’t evenly distributed across the area and the testing procedure is not standardized. Bulk tests require collecting samples of materials from the affected area, sending them to a lab and examining them under a microscope. Observing the mold particles helps determine their concentration, but that is about all. The surface concentration is only one of several elements to consider and is usually not relevant to what you are breathing. Air tests take samples of air from the suspected areas via an air pump. The samples are sent to a lab, examined under a microscope and a report is created that names the genus and a suspected count. Works relatively well, but does not help with the source of the mold and the margin of error is extremely high. Culture tests take longer than the others do because they involve allowing the mold spores to mature long enough to be identified. These tests do not count or give any indication of mold source. The InstaScope Method Professional mold testing by qualified technicians is the best way to determine the presence of mold in your home. 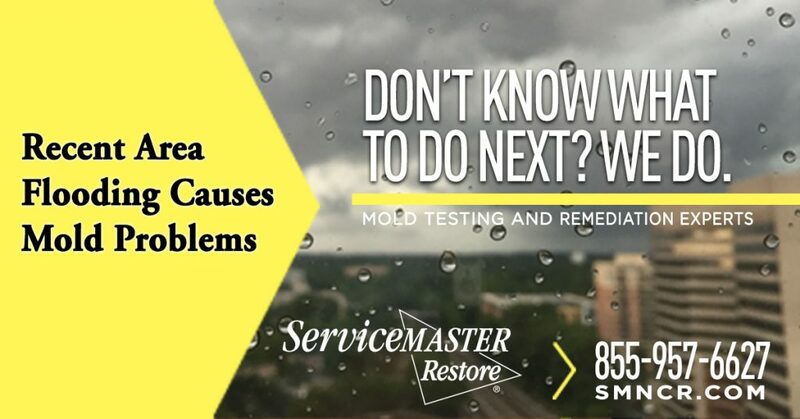 The InstaScope Pre/Post Testing Method, available at select ServiceMaster locations, provides room-by-room results that are scientifically accurate. Certified operators instantly determine rooms that have normal airborne mold levels, rooms with elevated levels that require cleaning by our mitigation specialists, and rooms with higher mold levels and/or active mold growth that require remediation treatment. Technicians start by recording a baseline mold level outside your home, using state of the art optical technology. Using what looks like a portable laboratory, they move through the building and take readings of the airborne mold levels in each room on every floor. If they locate any rooms with elevated mold levels, they recalibrate and locate the exact source of the mold. This type of testing finds mold in hard to reach places, like wall interiors, that are impossible to test with ordinary methods. The results are available immediately, not days later like with lab tests. The results are presented in an easy to understand report, along with recommendations for action, if necessary. Tests are performed again after mold remediation, to ensure that proper remediation has been accomplished. If you are concerned about the presence of mold in your home or business in Alexandria, VA or Washington, DC or the DC metro area, you can rely on the experts at ServiceMaster NCR for effective mold removal services. Our technicians use the InstaScope method to locate and pinpoint the exact location of mold anywhere in the building, with instant results that are easy to understand. For more information, please read our Mold Guide.